Thought to be the most common cause of serious illness and death in cats, Feline Leukemia Virus (FeLV) is a highly contagious virus. It can only be transmitted to other cats (not dogs or humans) through saliva, mucus, urine, feces and blood. Most commonly the virus is spread by sharing litter boxes, food and water bowls. Kittens and young cats are more susceptible to the virus (especially prior to vaccinations). The virus severely compromises a cat's immune system. In the early stages, a cat may not show any symptoms at all. A vaccine is available, but unfortunately, is thought to be only 75-80% effective,and sadly, there is no cure. It is important to have your cat tested,via a blood test, to determine if they have been infected (even if they are asymptomatic) for the safety of your cat and others. What Can You Do If Your Cat Tests Positive For FeLV? Holistic veterinary care can help address and target the virus itself. By strengthening your cat's immune system, you will help your cat respond better to the virus and not just treat the symptoms associated with the feline virus. A twofold approach is needed to help strengthen your cat's immune system: using a hypoallergenic, high moisture (no dry food) grain-free diet and giving your cat anti-viral and immune-supportive supplements such as NotaSAN, QuentaSAN, Immune Harmony and Power Probiotic. It is also important to keep your cat's environment as stress-free as possible and avoid contact with non-infected cats. QuentaSAN is a powerful anti-viral, anti-infection formula. These homeopathic drops are the first line of defense with any upper respiratory condition. QuentaSAN work best when combined with NotaSAN drops. The two formulas work synergistically to control infections and inflammation. QuentaSAN seems to be especially helpful for lung-related health issues. Many cat owners have reported excellent results relieving continual discharge, runny nose and sneezing related to viruses when QuentaSAN and NotaSAN drops were administered. NotaSAN is a power anti-inflammatory, anti-infection formula. These homeopathic drops are especially important for relieving allergy symptoms. NotaSAN, when combined with QuentaSAN works very well to control chronic Upper Respiratory infections. The two formulas are tasteless drops that can be easily administered to cats. This multi-strain formula can be sprinkled on food or eaten by itself (many cats like the taste of it). Power Probiotic promotes the growth of friendly bacteria which aids your cat's immune system. Why is this important? 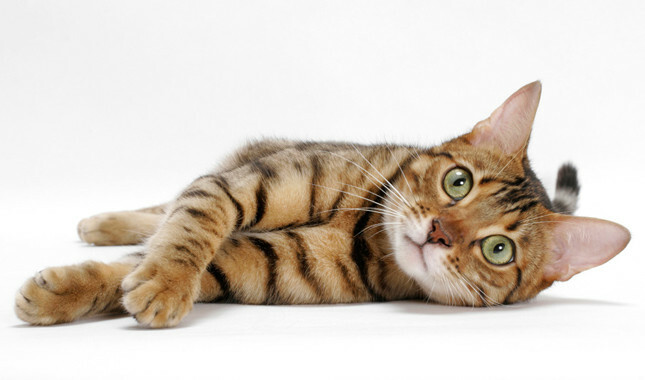 The majority of your cat's immune system resides in the the intestinal tract. 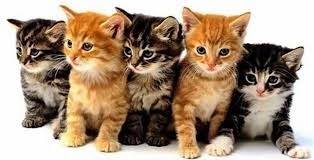 Using Power Probiotic is essential if your cat has taken steroids or antibiotics as these medications reduce the population of friendly bacteria. Friendly bacteria fight off pathogens, bad bacteria and viruses in an effort to keep your cat healthy. Power Probiotic is essential for all cats but especially those diagnosed with feline asthma. This formula is comprised of plant sterols and antioxidants. Many veterinarians recommend plant sterols as a mild and more gentle alternative to corticosteroids. They are definitely NOT steroids and won't have the same power and effect of a drug, but can be helpful for reducing inflammation. Many pet owners have reported improvement in laboratory testing in pets that have autoimmune diseases. Immune Harmony helps to modulate the cat's immune system and is well-tolerated by very small pets. Feeding your cat the right diet can make a big difference especially when supporting a cat with Feline Leukemia virus. Please include your cat's diet on the order form at checkout along with a description of your cat's symptoms and we will provide a diet suggestion on the packing slip that comes with the products.